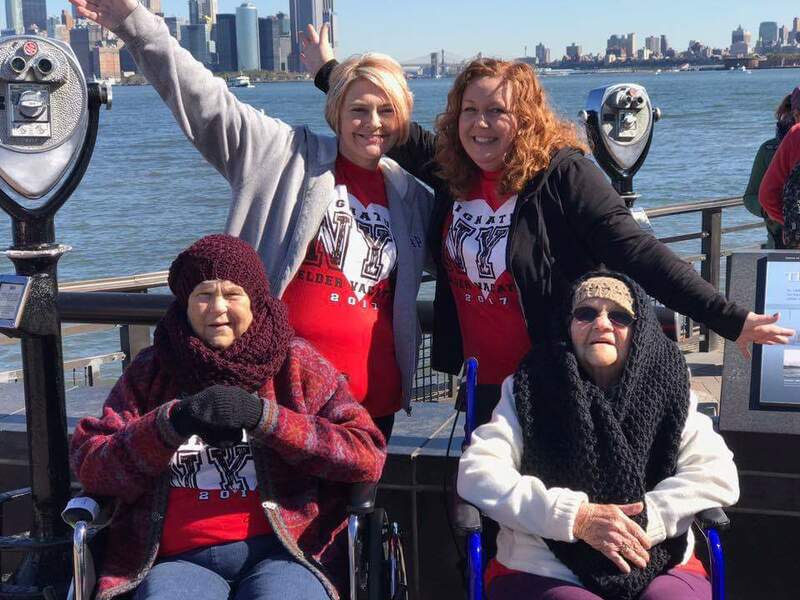 Elders Trip to New York! 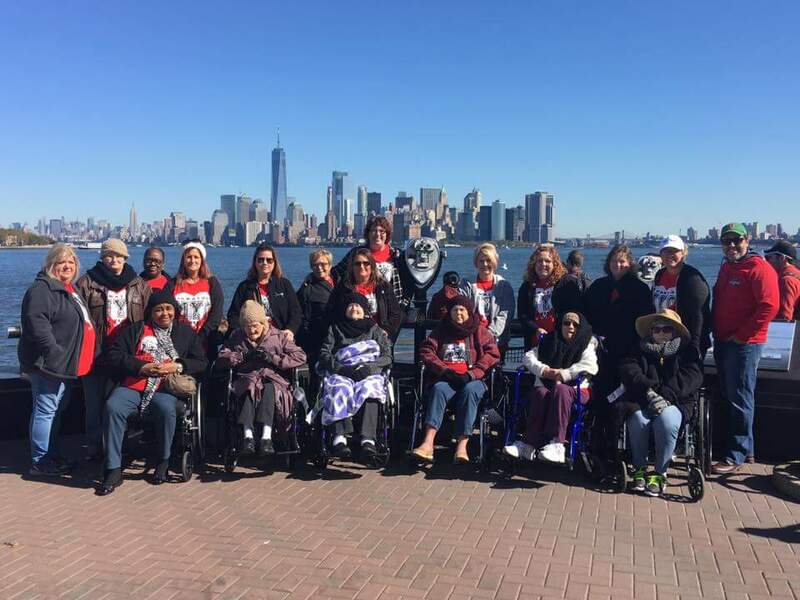 Elders from four Signature HealthCARE homes descended upon the Big Apple today for a week of fun and excitement! The adventure was only just beginning as we stepped off the plane. After a quick lunch at the airport, we all boarded the bus to our hotel near Times Square! Everyone marveled at the size of the buildings and the number of people around us on the way to the hotel. 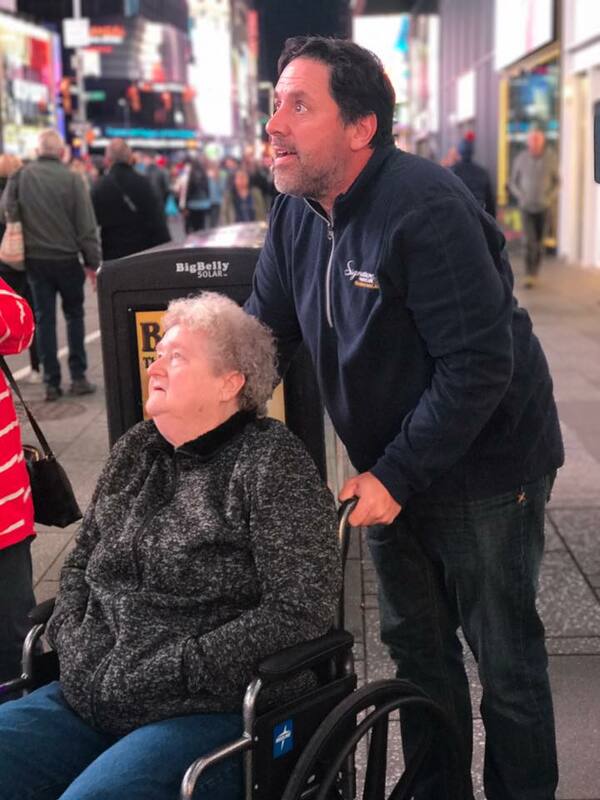 One Elder said, “They sure did make some big buildings here.” Another said, “There’s just everything right here.” None of us could believe the size of the city. After a quick rest at the hotel, it was time to start walking to dinner. Tonight we ate at Hard Rock Café in Times Square! The Elders always enjoy eating at Hard Rock Café and this one did not disappoint. One lady told me it was the best hamburger she had ever eaten. I can’t help but think it was the excitement within her that made it taste so much better! The walk to Times Square was breathtaking in so many ways. The Elders stopped along the path so many times, to just take it all in. They couldn’t believe all the “tv screens” that were flashing different things around them. 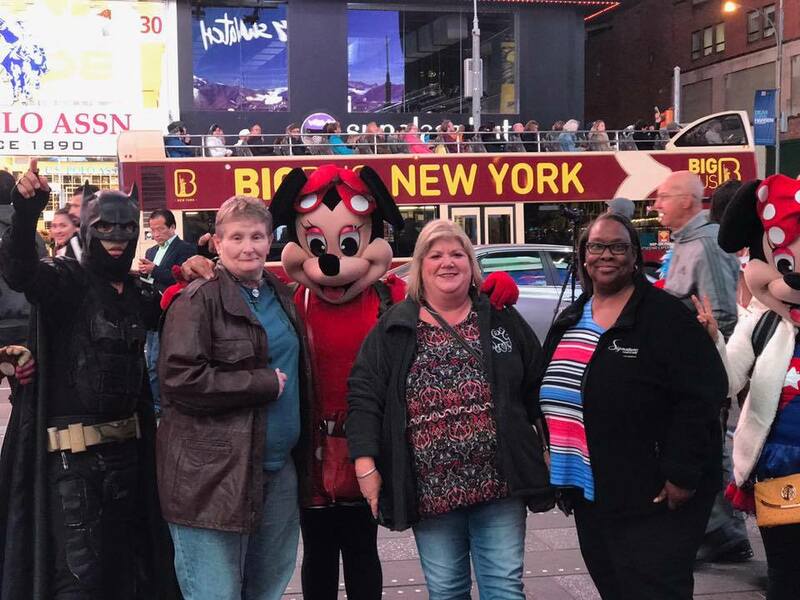 Some even stopped to meet some of the “characters” on the streets of NYC. Their faces lit up with joy and excitement. Each Elder’s eyes held a special light that I had not seen previously. It could only be the true joy that comes from living. Yes, we are living life this week in a way that is bigger than normal! Life happens all around us. Much like the blur of the city, it passes us by whether we are watching for it or not. Luckily this week, we are able to live life in such a way that most can only dream about. 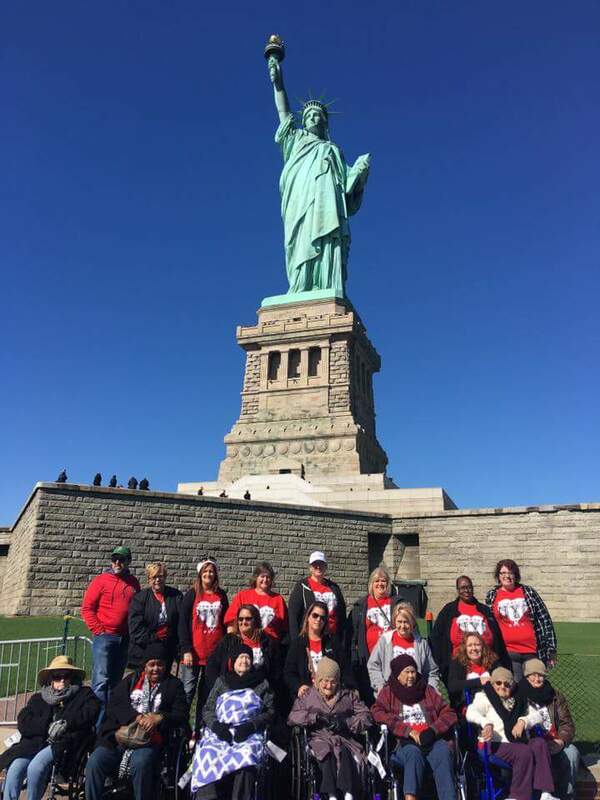 Only one of the Elders and a few stakeholders on this trip have ever been to NYC. This experience will be something they will never forget. 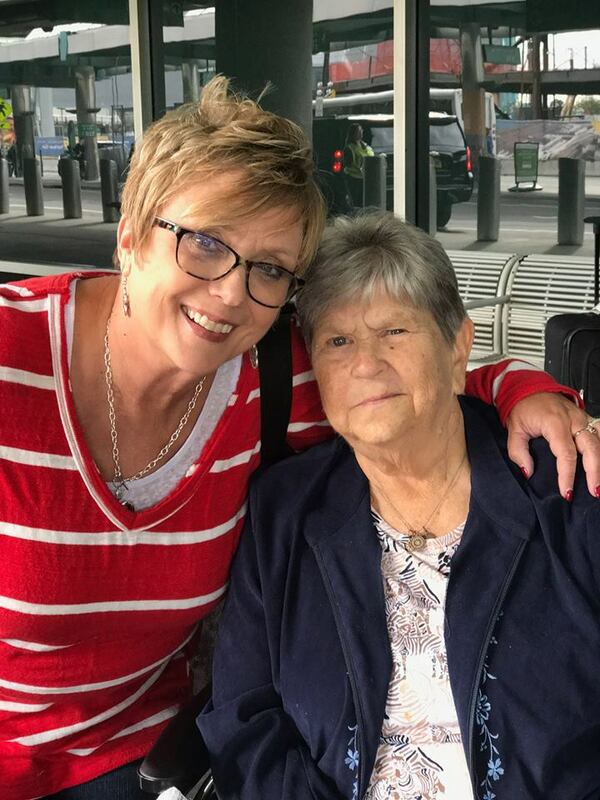 In fact, it continues to change the way that others view those who are aging. They are strong pioneers teaching the world how to live life BIG! Stay tuned for all the adventures of this week! 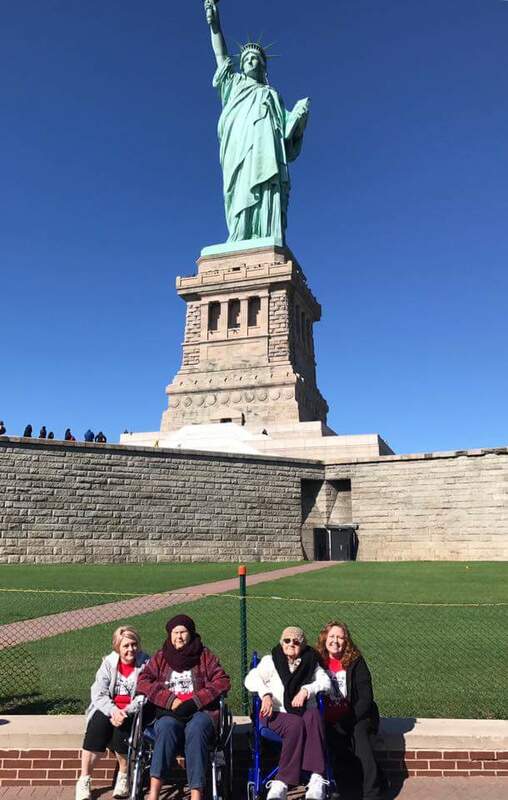 We visit the Statue of Liberty tomorrow! 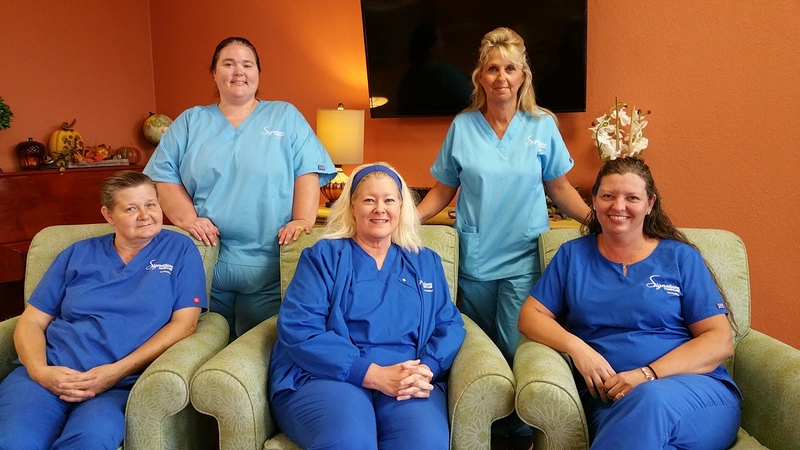 Signature Empowers CNAs with Innovative Pinnacle Program! 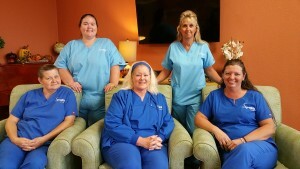 Signature HealthCARE of Putnam County Pinnacle CNA’s pictured above. Signature HealthCARE of Putnam County’s innovative Pinnacle program encourages employees to climb to new heights by honing their skills. 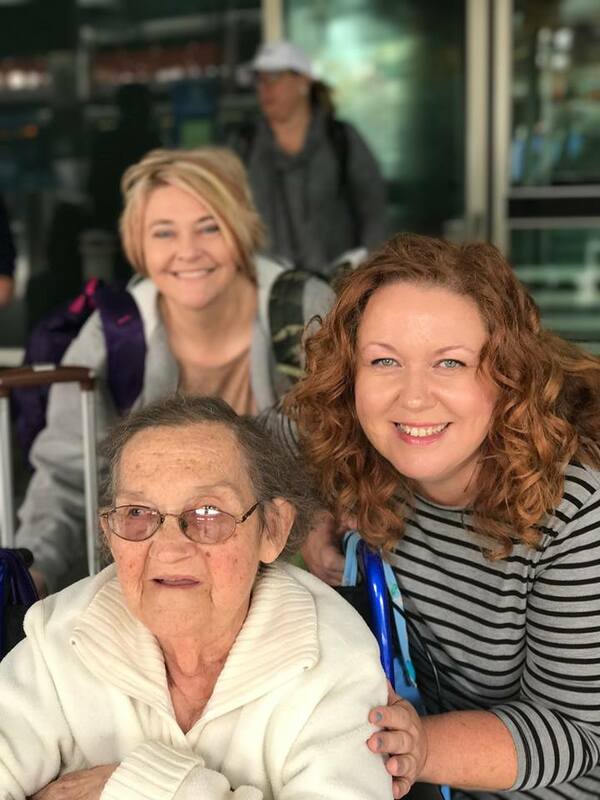 The Pinnacle program is offered to Certified Nursing Assistants (CNAs) to grow in their career, not only with personal improvement, but financial as well. 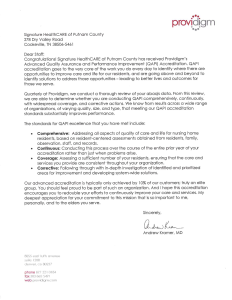 Signature HealthCARE of Putnam County has received Providigm’s Advanced Quality Assurance and Performance Improvement (QAPI) Accreditation. Advanced accreditation is typically only achieved by 10% of customers within the United States. This is truly an elite group. 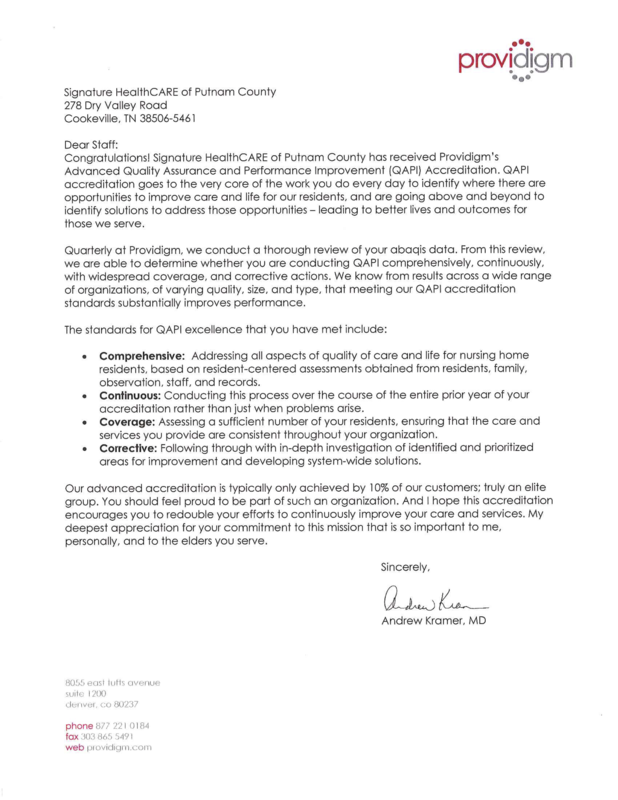 Signature HealthCARE of Putnam County continues to be a leader in providing quality care to their Elders! Herald Citizen – Reader’s Choice Award Winner! 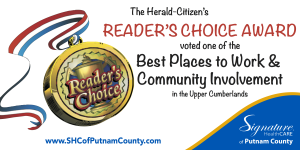 We are excited to announce we were voted one of the Best Places to Work & Community Involvements and Best Nursing Homes & Best Therapy by Reader’s Choice Awards! Signature HealthCARE of Putnam County was featured in a story about our commitment to person-centered care as an Eden Alternative home. Check out this magazine article about SHC of Putnam County! Seniors are invited for breakfast and lunch every day of the week! For more info, click HERE! 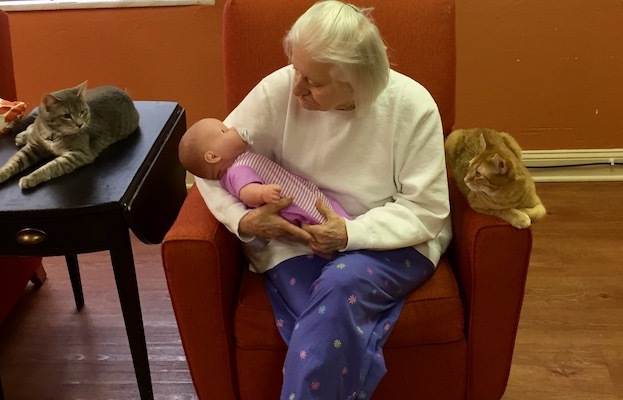 Elders Interacting with Newly Adopted Kitties! Yay! 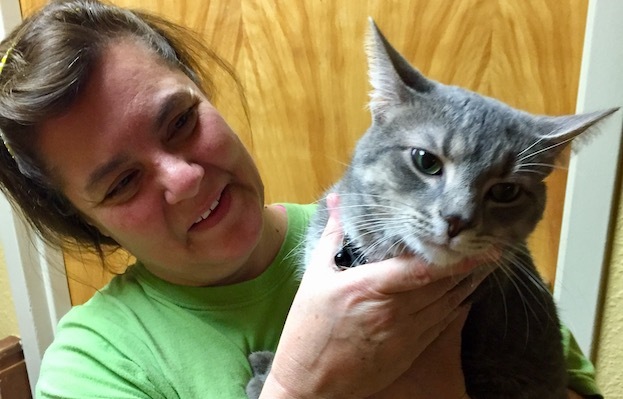 Smokey and Jeff have found a home! And a great one at that! Smokey and Jeff are now official residents of Signature HealthCARE of Putnam County. 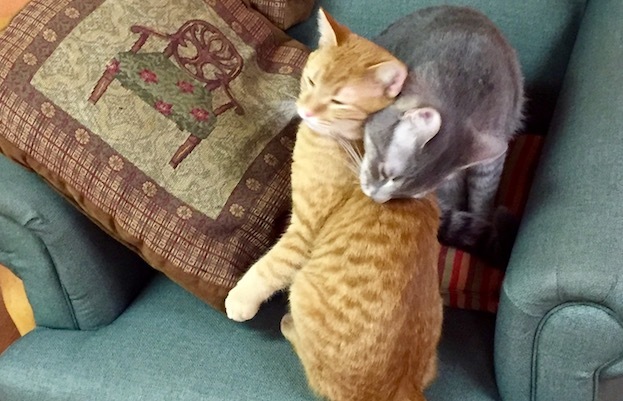 Smokey is a two-year-old handsome gray male kitty, and Jeff is an adorable nine-month-old male yellow tabby. Both kitties were at the Cookeville/Putnam County Animal Shelter for several months waiting to be adopted. 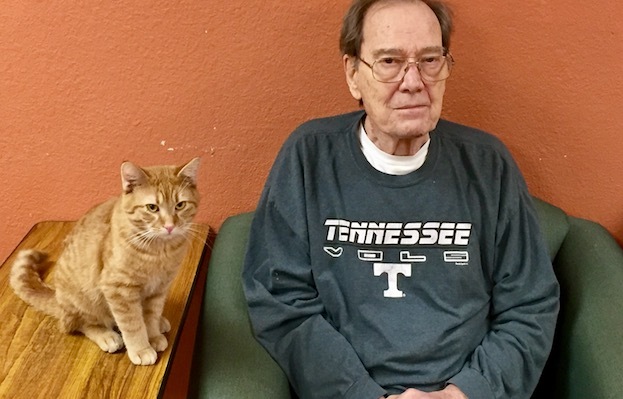 Thanks to the dedicated team of volunteers who work each day in the cat/kitten area at the animal shelter, both Smokey and Jeff were socialized daily, so that their transition to their new home at Signature HealthCARE was a smooth one! 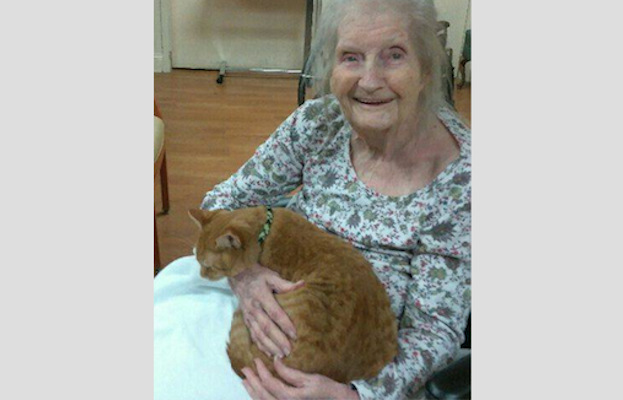 Both kitties are very playful and provide lots of entertainment for the elders. The kitties have free reign to visit those on the lower floor of the building. The upper floor has its own greeter–a much loved pooch! 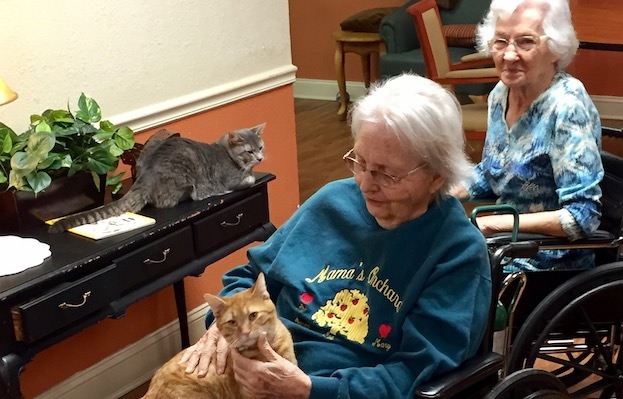 While visiting the facility, it was clear to see that both the elders and staff enjoy having the kitties there – and the kitties are having a ball. 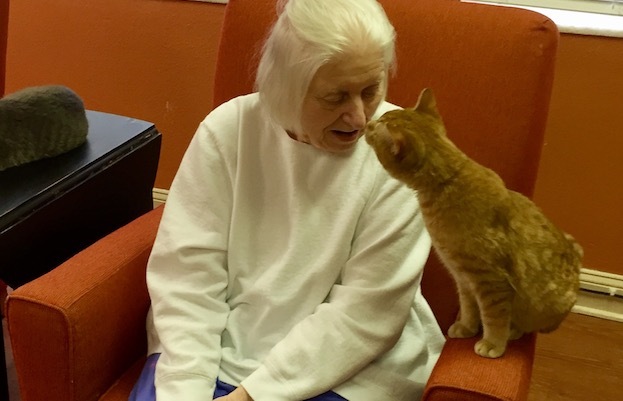 Both kitties are very friendly and approach the elders or visitors easily, eager for a scratch behind the ears and happy to begin purring. Thanks to CEO Lee Rooney and the Signature HealthCARE staff for understanding the immense value of having pets (they have birds and fish, too), in their facility! 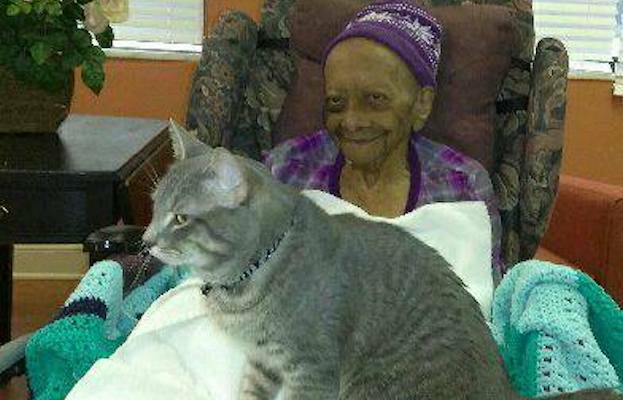 It is a win-win for all as both the pets and the elders are blessed.